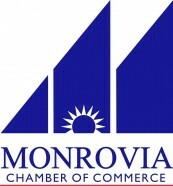 Part of the mission of the Monrovia Chamber of Commerce is to keep members informed on legislative issues that may affect their everyday business activities. Chamber staff handles numerous requests on a daily basis, directing members through what can seem like a bureaucratic maze. We work closely with the city of Monrovia and other government entities to serve the interests of the business community. Sari Canales, Executive Director, and Bob Helbing, Chair of Government Affairs, actively represent your business interests through a variety of avenues. For example, Canales is a member of the San Gabriel Valley Legislative Coalition of Chambers, who meet monthly to discuss issues that may directly affect how you do business in Monrovia and the region. The Government Affairs Committee is informed on legislative activity at the local, state, and federal levels. Local business members, representatives from the city of Monrovia, Supervisor Barger, Assembly Member Holden, Senator Portantino, Congresswomen Chu & Napolitano, the League of Women Voters, along with the Monrovia Unified School District assemble monthly at the Chamber to discuss current legislation that can influence your business. We welcome you to get involved and join us for the meetings. This committee meets the second Tuesday of the Month at 8:00 a.m., all committee meetings are held in the conference room at the Monrovia Chamber of Commerce, 620 S. Myrtle Ave., Monrovia, CA 91016, unless otherwise noted.